Notes: Contains no yeast, dairy, egg, gluten, corn, soy, wheat, sugar, starch, salt, preservatives, or artificial color, flavor, or fragrance. 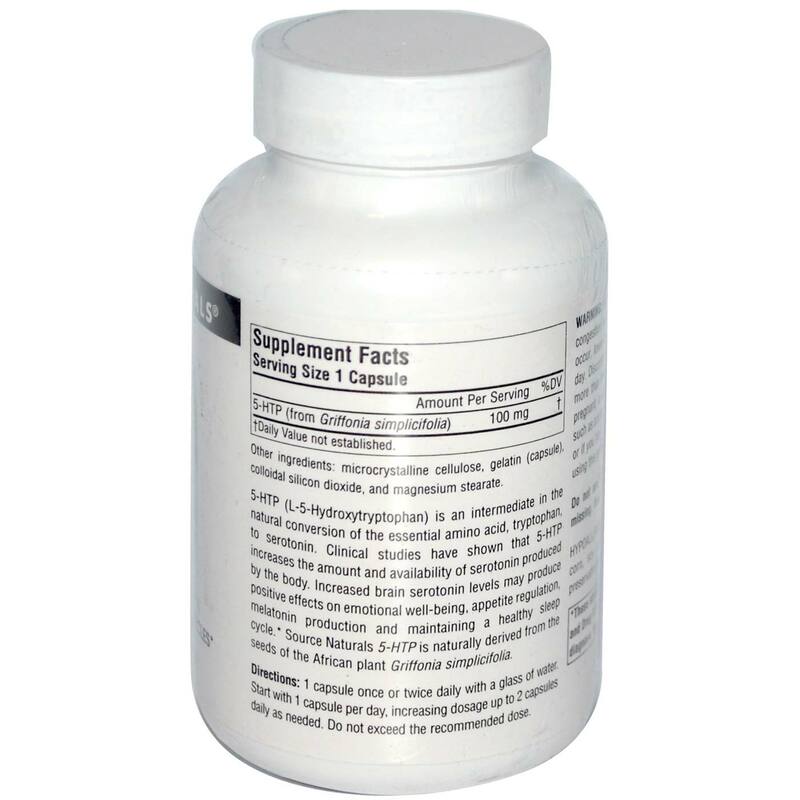 Recommended Use: As a dietary supplement, take 1 capsule once or twice daily with a glass of water. 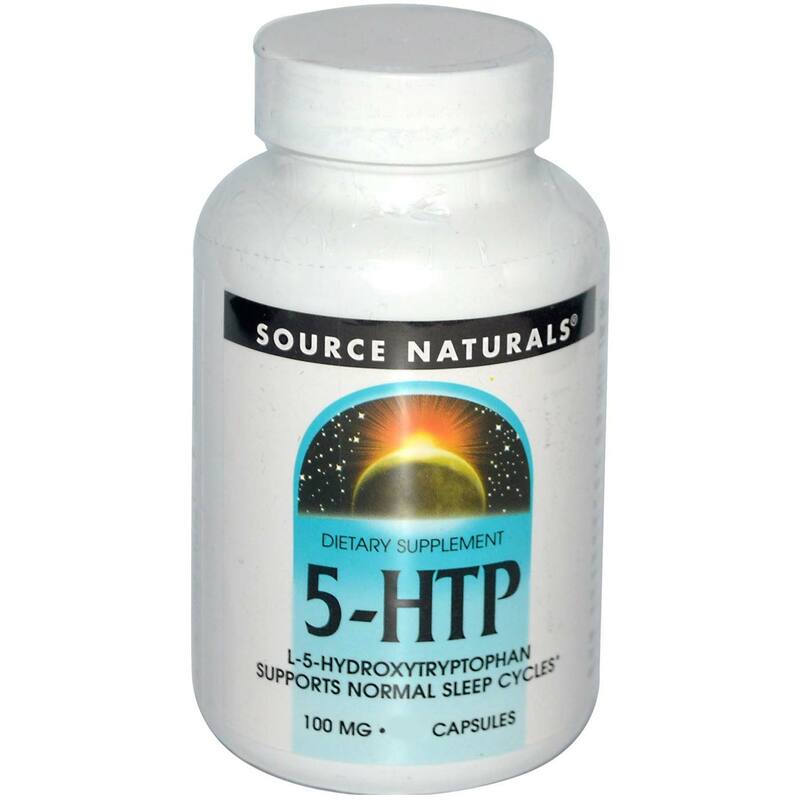 Start with 1 capsule per day, increasing dosage up to 2 capsules daily as needed. 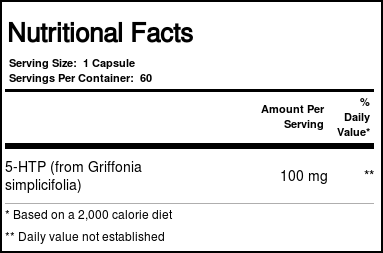 Do not exceed the recommended dose. The customer reviews posted below are based on individual consumer experiences and may NOT necessarily represent what expected results will be from using or taking Source Naturals 5-HTP - 100 mg - 60 Capsules. These results may not be typical and you should not necessarily expect to receive the same results. Actual results may vary.